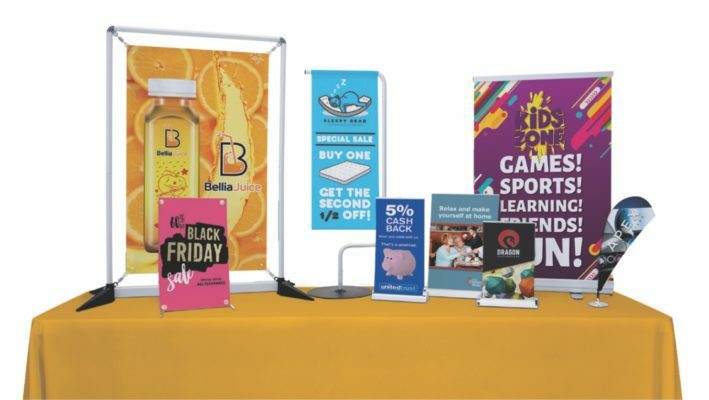 Portable and versatile, free-standing retractable banner stands make it easy to place your message in any intended environment. At an entry point, a meeting, on a tabletop or to create a backdrop at an exhibition. 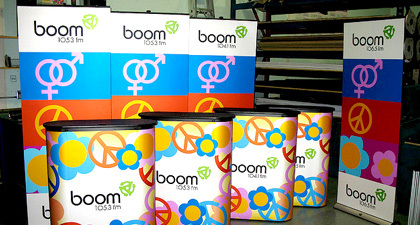 Choose from either vinyl or fabric graphic options. The stand units are aluminum and available in black or silver depending on the style. 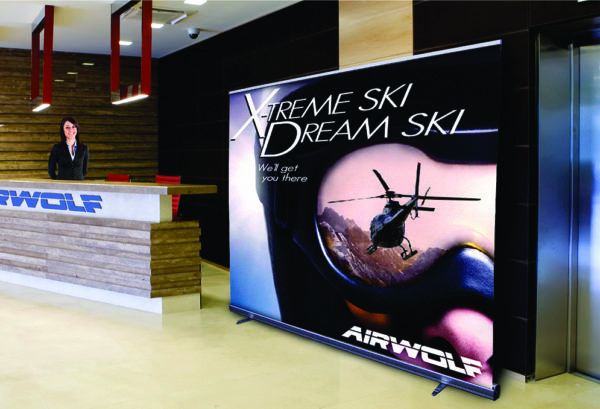 Each retractable pop up banner comes with a nylon carry bag with shoulder strap. Construction: Aluminum casements and parts with nylon carry bag. Cartridges available in silver or black. Many sizes available, click “view our catalog” to see the selection. Imprint: Dye Sublimation fabric. Digital print vinyl. Sizes: Table top models, standard sizes and jumbo retractors up to 96″ wide. Production: Relative to order size. Small orders 1-2 weeks. High volume orders 3-5 weeks depending on order size. Accessories: Clip on light options are available.